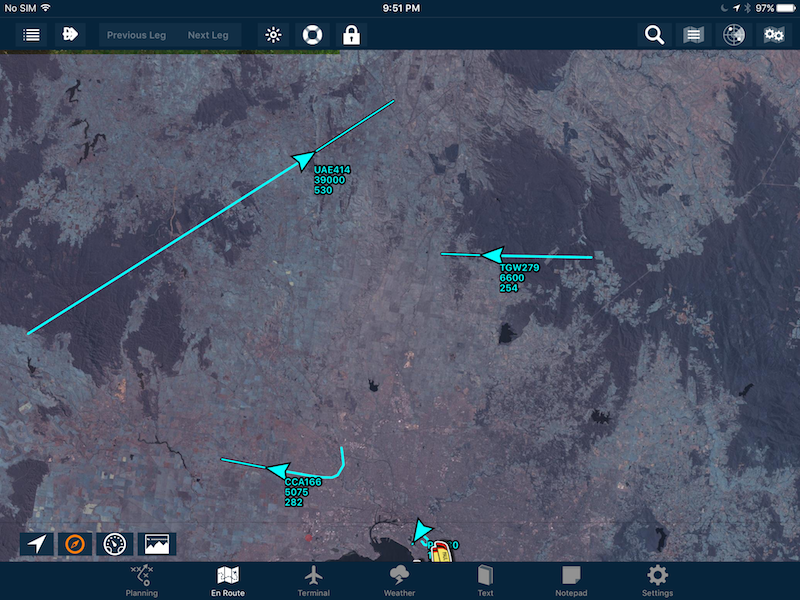 There may be many times that you’d like to share your flight live with others on the ground. 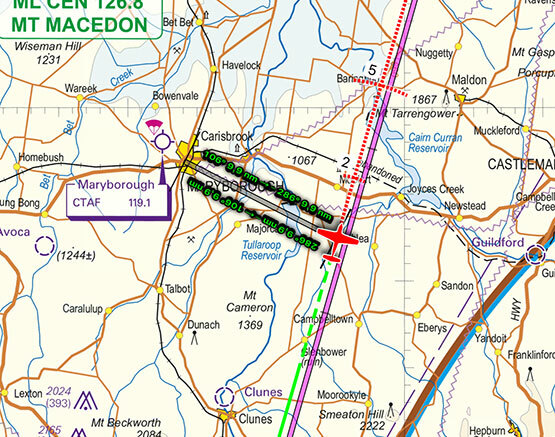 They could be friends interested in aviation – jealous of your awesome airborne adventures – or they could be loved ones that simply wish to ensure you’re safely making progress to your destination. 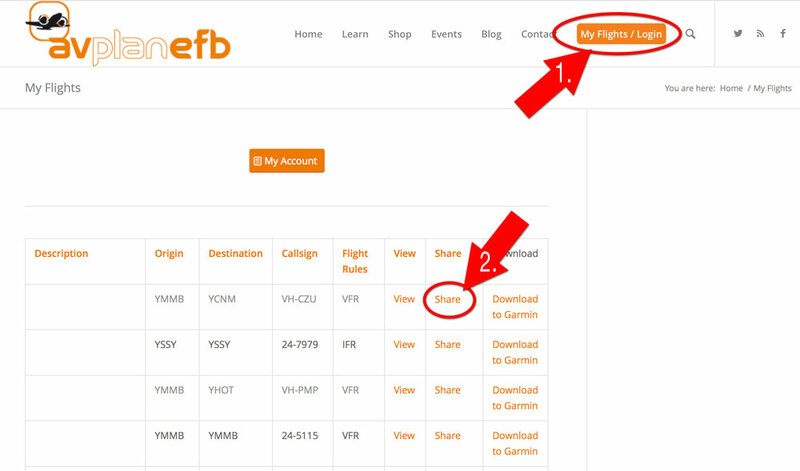 Either way, once you’ve put your plan together AvPlan EFB makes sharing your flight live with other people very easy. 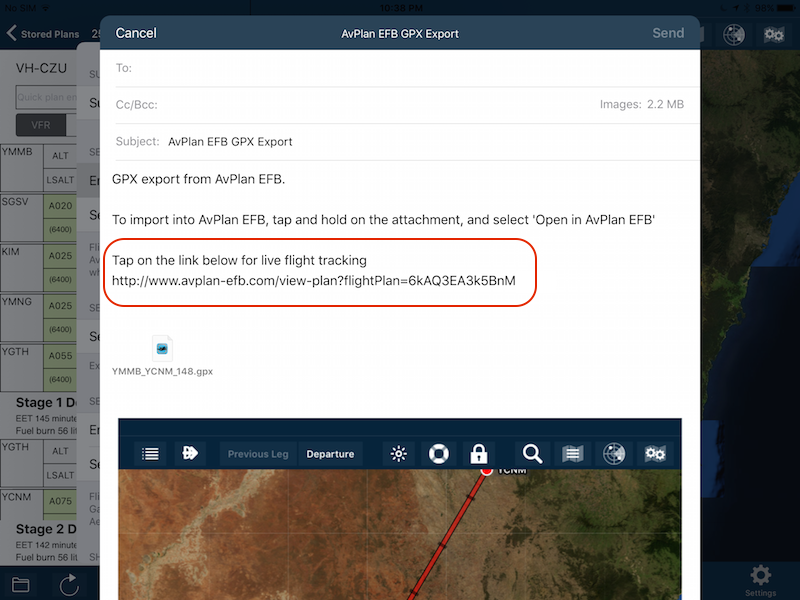 To do so, tap the Send/Share icon below the flight log. From the list, select Email Flight Plan. 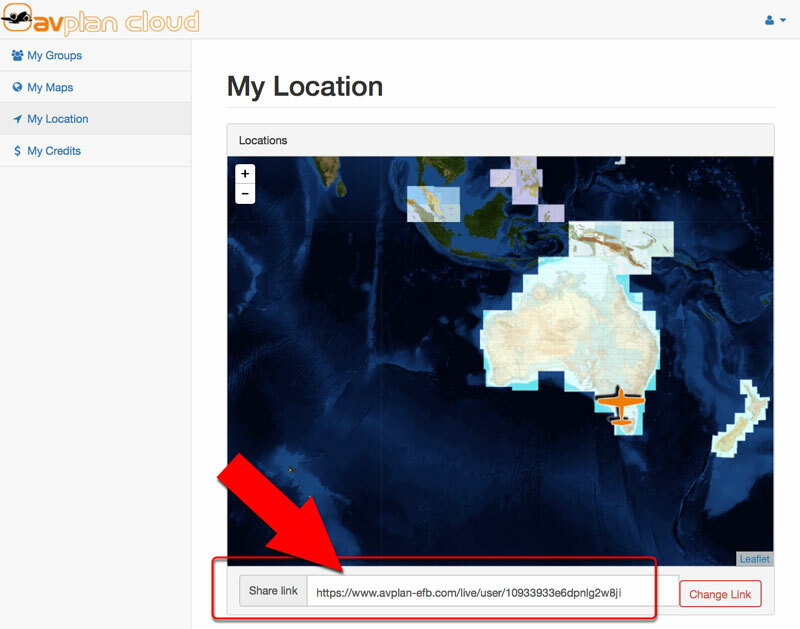 You’ll be presented with a fresh email, containing a screenshot of your map page (so it’s a good idea to zoom out to see the whole plan before sending), a link and a GPX file. 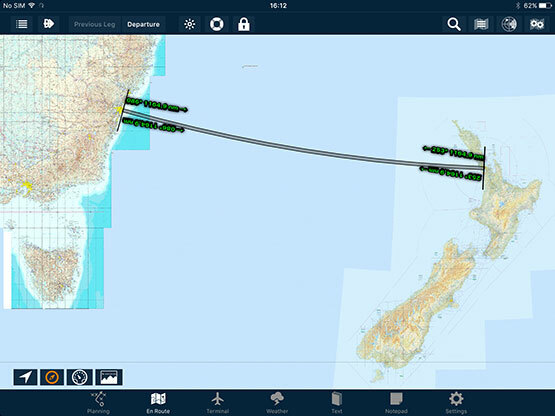 The attached GPX file can be imported into Google Earth for a detailed visualisation of your plan. Type in the email address(es) of your intended recipients. Encourage your friends/loved ones to tap on the hyperlink. 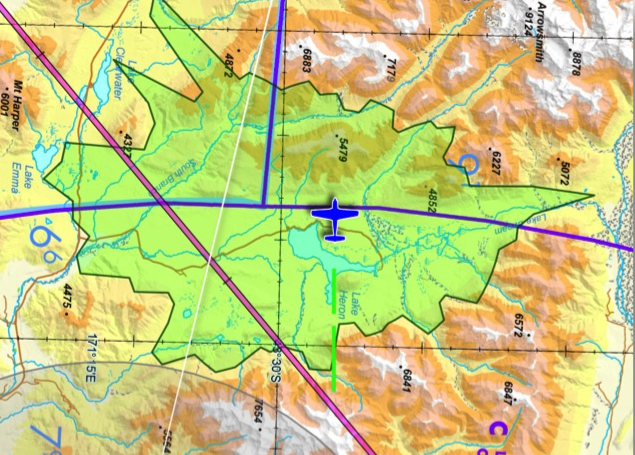 This will take them to a special mini-website for that particular flight plan. There’s nothing they need to do to start it, as the map will update itself automatically. 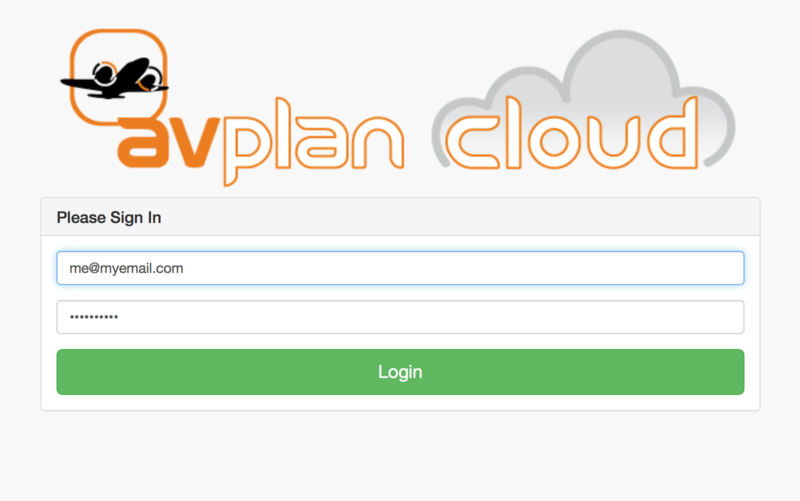 Only people that have the exact link will be able to view this plan. 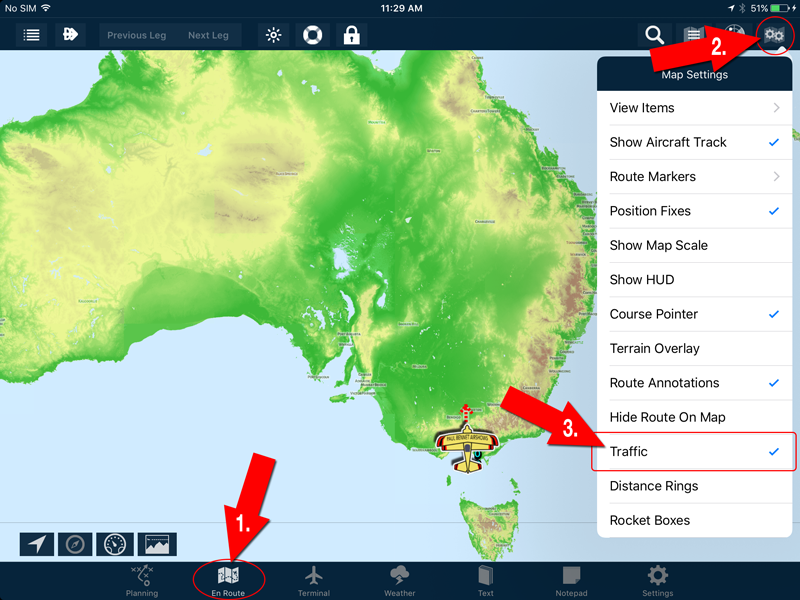 To make sure that they’ll be able to see your live progress, make sure you have AvPlan Live activated (tap Settings > User Settings > AvPlan Live) and you have a data connection for your iPad/iPhone in the air. 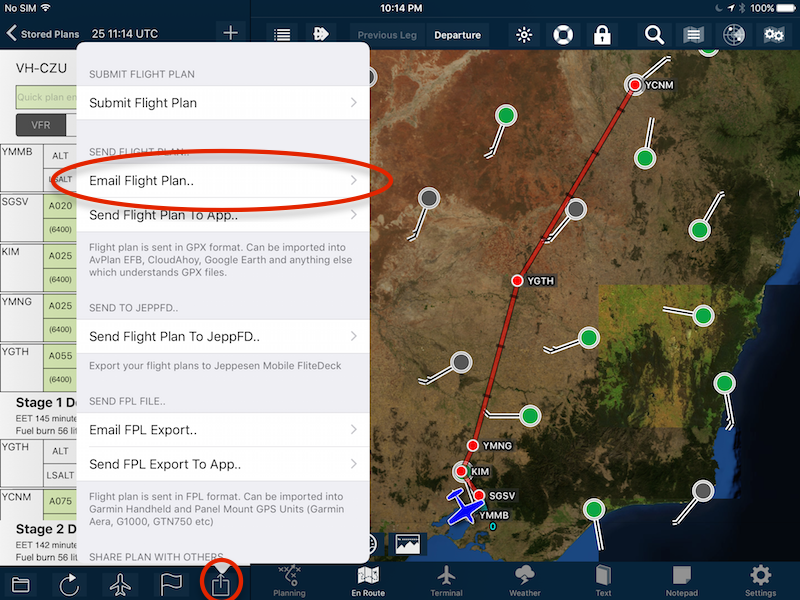 Find your flight plan in the list and tap the Share option. When it has been set to the Share mode successfully, you’ll see the option change to Unshare. Remember: This method of sharing is on a per plan basis. 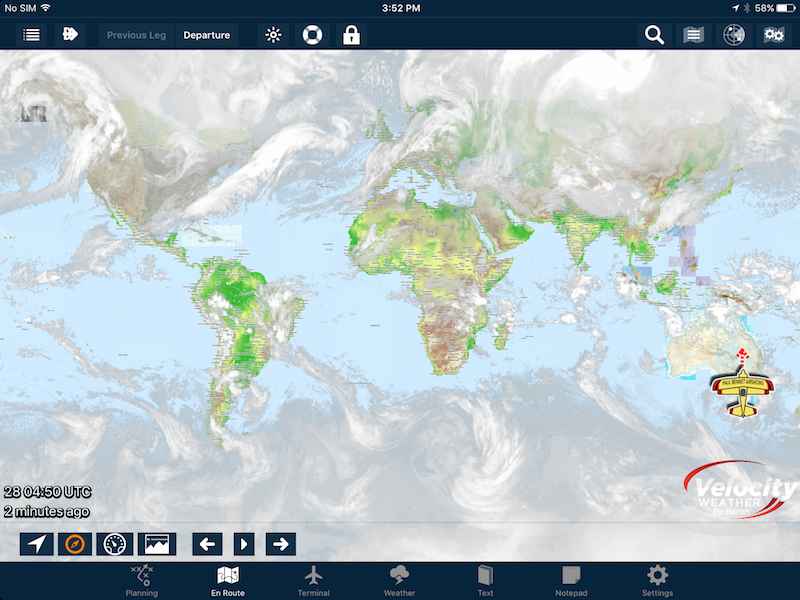 When you move on to a different flight plan, your track won’t be shown on this particular shared flight. If you’d like to have a blanket share option for any plan that doesn’t require a specific sharing process each time, I’ll cover that in a future post. 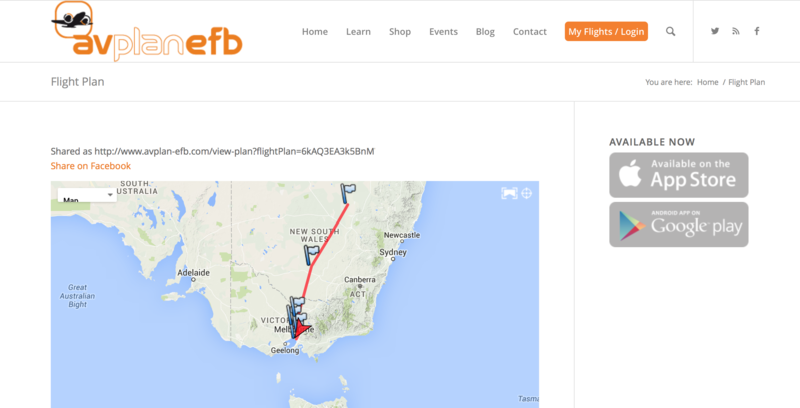 So, give flight plan sharing a try! 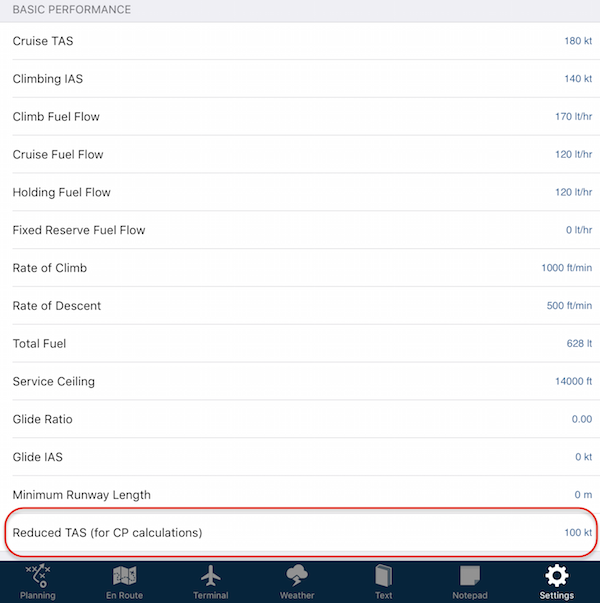 If you have an aircraft that is flown in a similar loading or setup, you can save time each and every new flight plan by having pre-set-up weights and loadings. For example: You have a two-seat aircraft that you fly almost all the time with your favourite co-pilot. It’s always refuelled at the end of each flight and you always carry the same flight bag and tie-down kit with you. Another example could be a commercial aircraft that always carries a particular piece of equipment in it for every flight – like a tie-down kit, survey camera, etc. 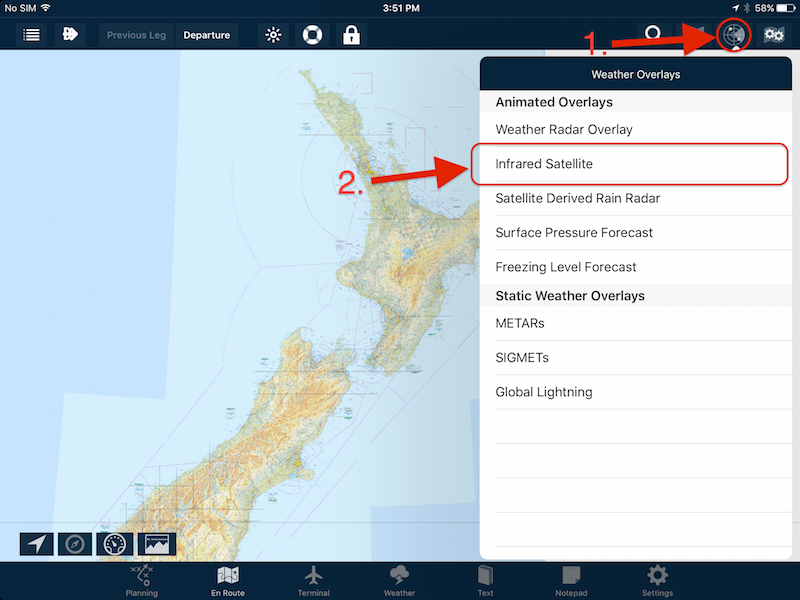 In these scenarios, you can have these stored in your aircraft profile so every time you create a flight plan, those details are already pre-filled. 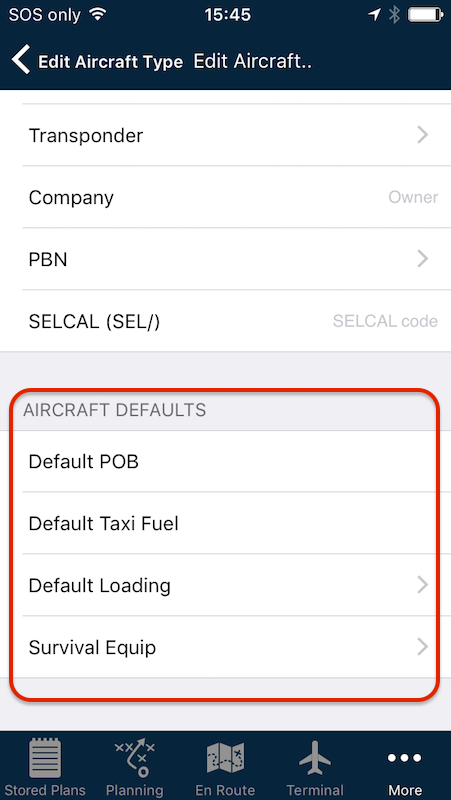 Tap Settings > Aircraft Type Database > [Your Type] > [Your Registration]. Scroll down to the bottom of the list, where you should see the subheading: AIRCRAFT DEFAULTS. 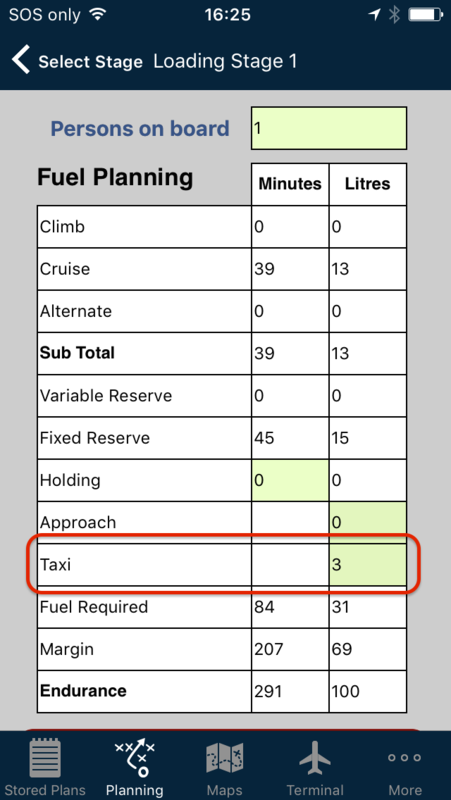 Default Taxi Fuel: Enter the number representing your usual amount of fuel burned during startup, warmup, run-ups and taxiing to the end of the farthest runway. Just enter the number and tap return. 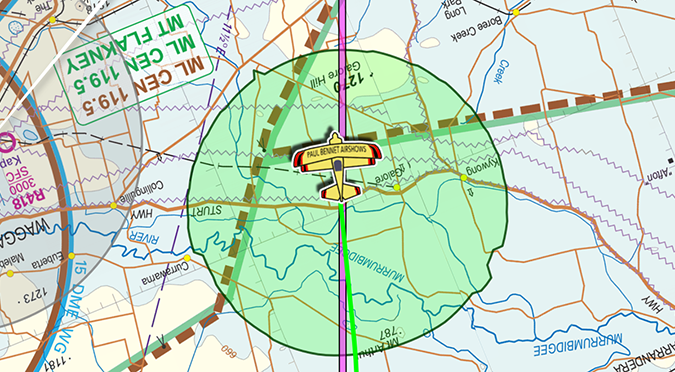 AvPlan EFB will append whether it is pounds, litres, kilograms, US gallons which are derived from the aircraft’s profile. For example, a small four cylinder engine might only need 3 litres (see below), whereas a large high performance engine might need 2 gallons or more. 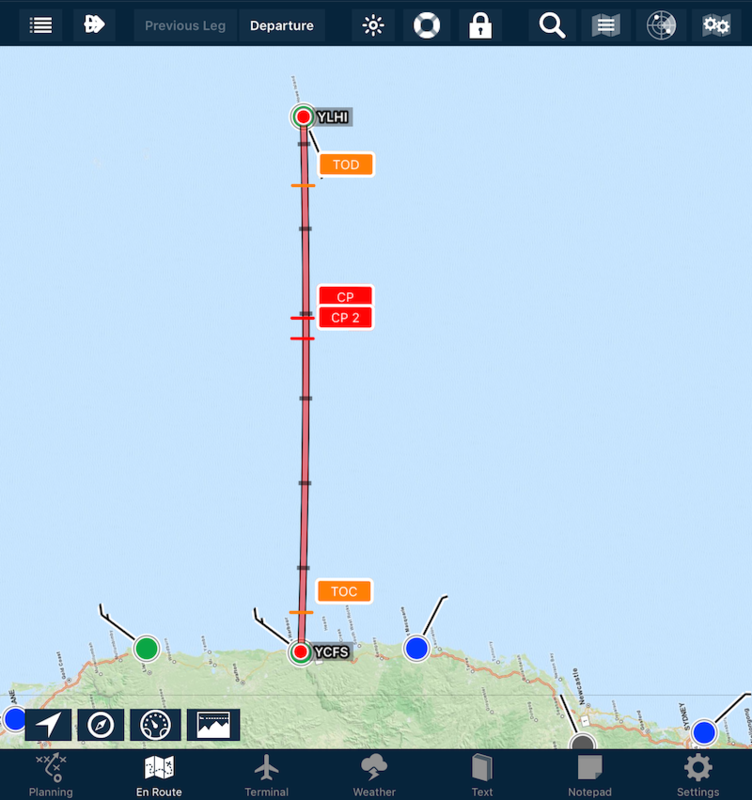 Turbines – even more! If in doubt, err on the slightly higher side to be safe. 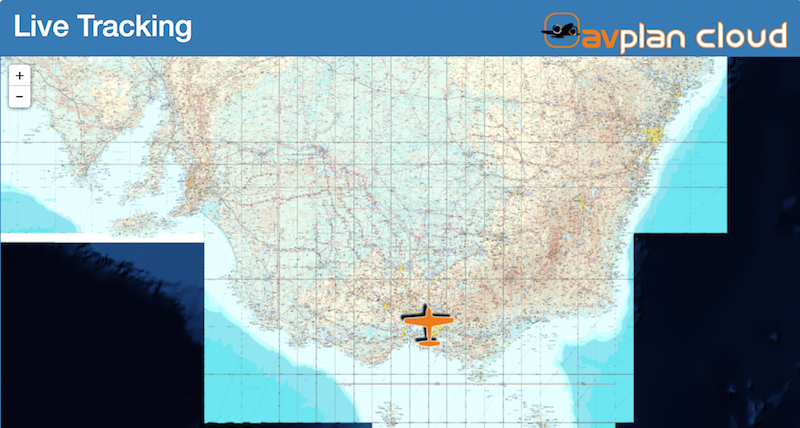 This figure will be added in the Fuel Table on the Planning > Aircraft Loading/Weight and Balance/Fuel Planning page. Default Loading: Brings up a new list of options. 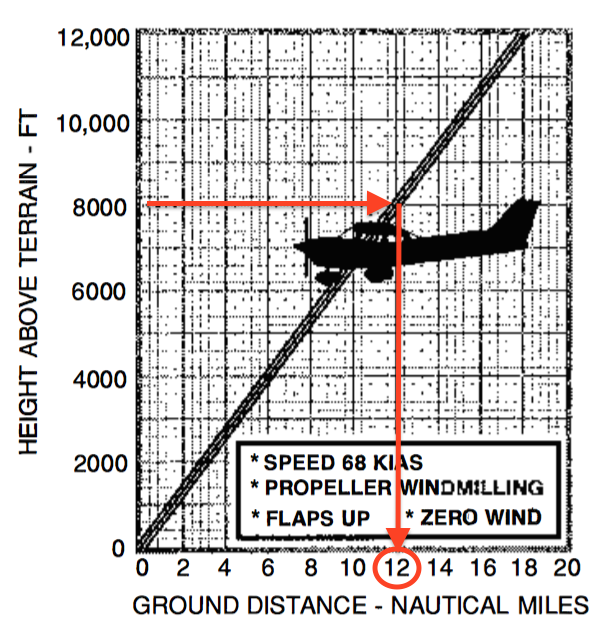 The items listed here are derived from the weight and balance setup of your aircraft profile. You’ll see your load stations and fuel tanks listed. 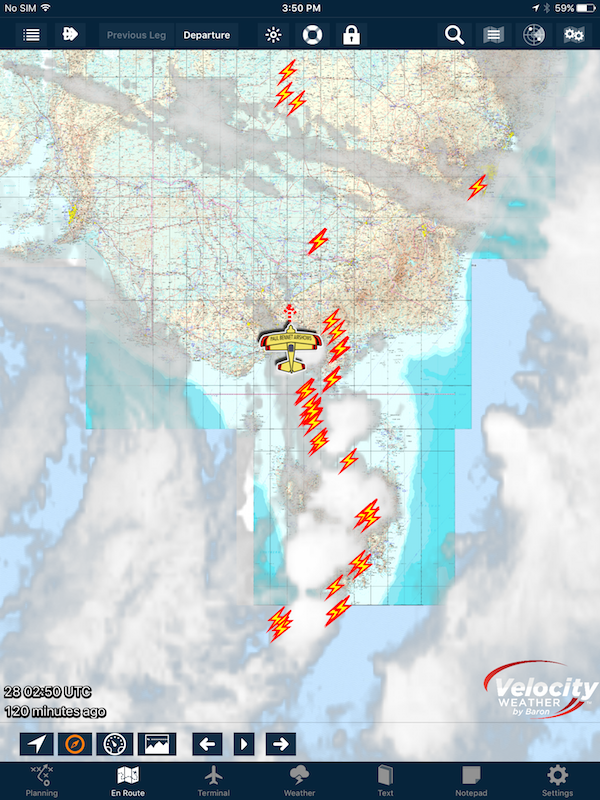 Enter the weights/fuel loads as appropriate. Survival Equipment: Shows a list of regular safety equipment carried on flights. 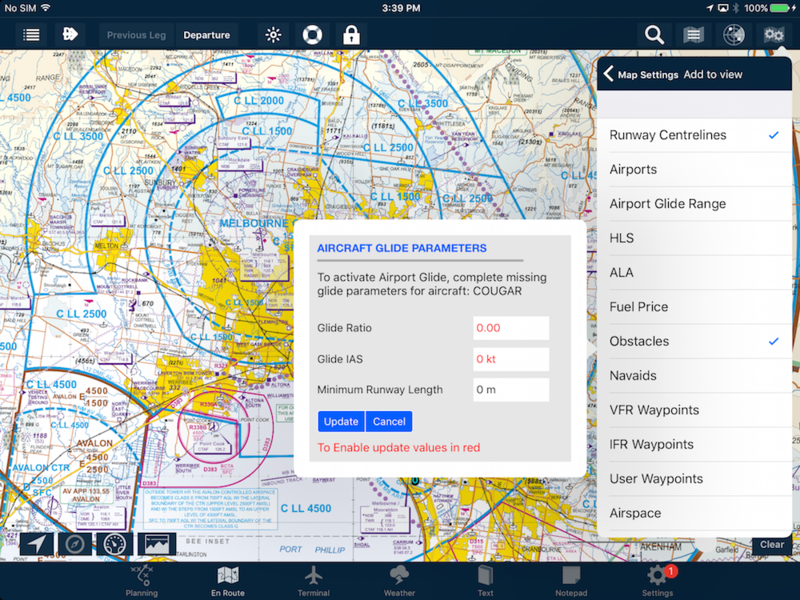 Select the options you carry each flight and these will be automatically sent with your flight plan submission. 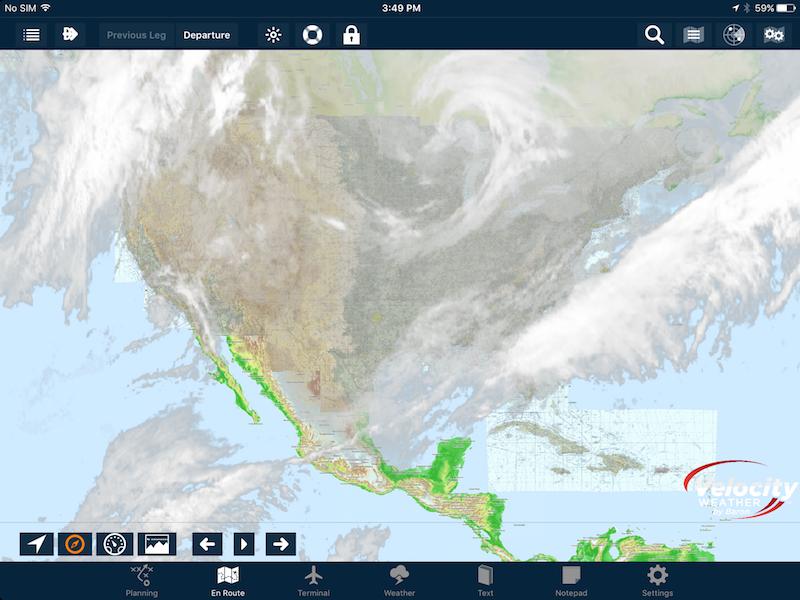 Once you’ve entered these details, tap the back button found at the top-left of the page preceded with a < symbol. 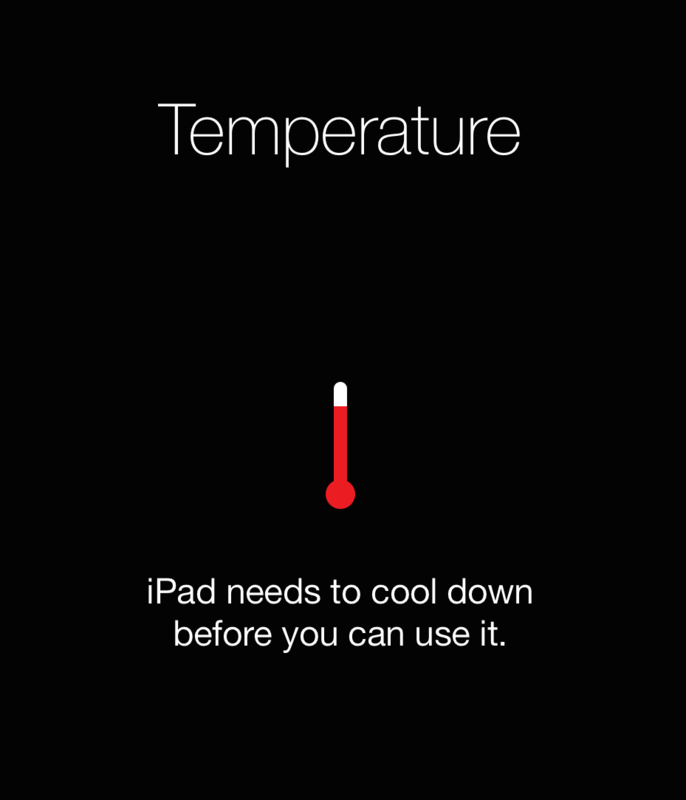 Each time you tap the back button, the preceding page title is displayed. 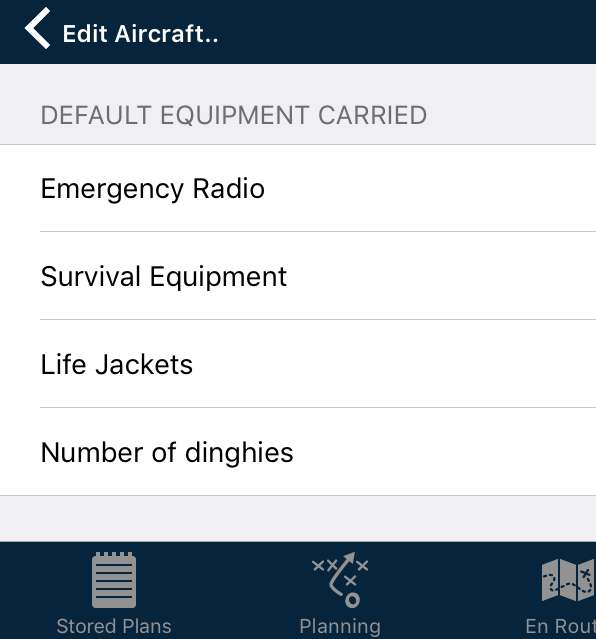 Tap this back button until you return to the Aircraft Type Database main list, which might be three or four times. 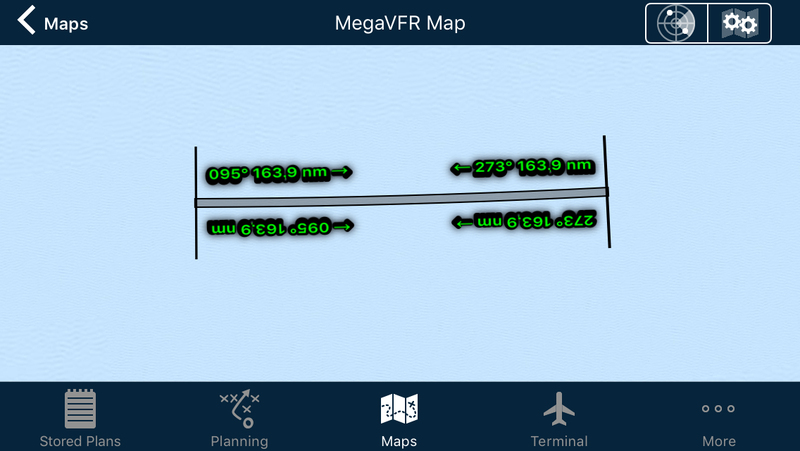 When AvPlan EFB prompts you, tap Save to commit your changes to your aircraft profile. If you ever wish to change your defaults, simply return to this menu and make the necessary adjustments. 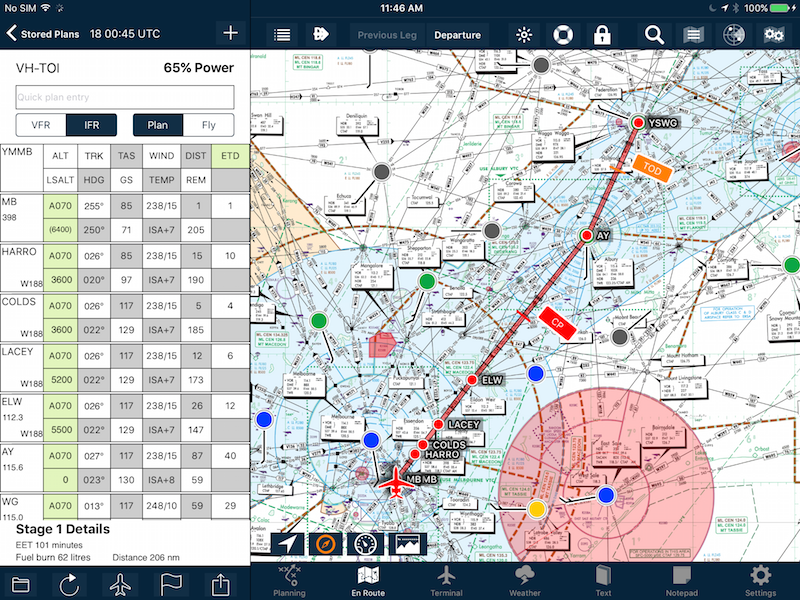 To see these default loadings in action, simply begin a new flight plan and make sure that your particular registration is selected (if it’s not, tap the hollow aircraft icon below the flight plan and select your aircraft’s registration from the list). 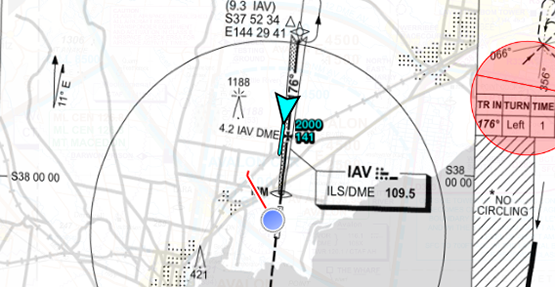 Add some waypoints, then tap Planning > Aircraft Loading/Weight and Balance/Fuel Planning. You should now already see those details entered in the loading stations, POB and taxi fuel. 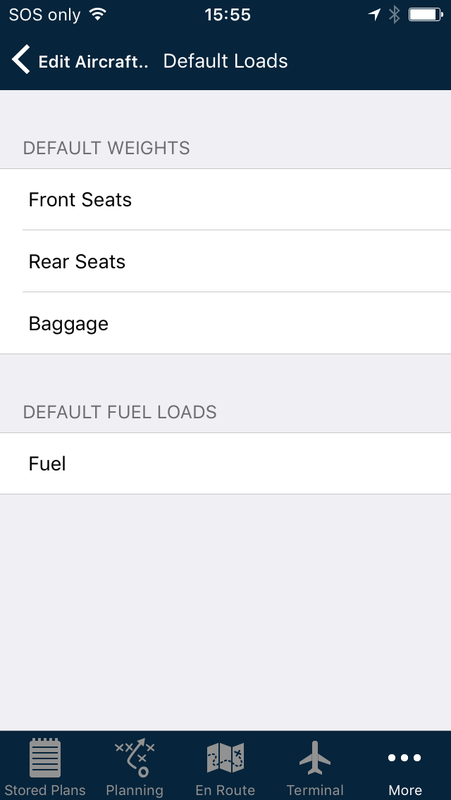 If there does happen to be a variance from the defaults to a current flight (for example, your co-pilot is not available or you only have three-quarters fuel), you can quickly amend them for this flight. 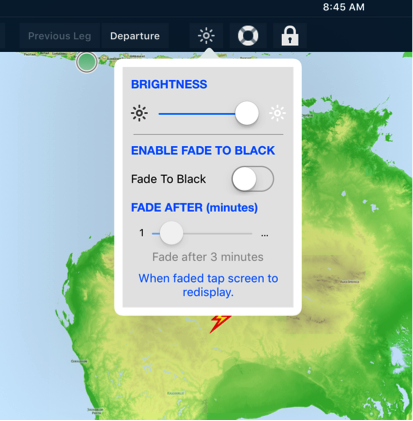 It won’t effect future flight plans. Try it – it could save you time!